April 2019 Library Calendar is published. 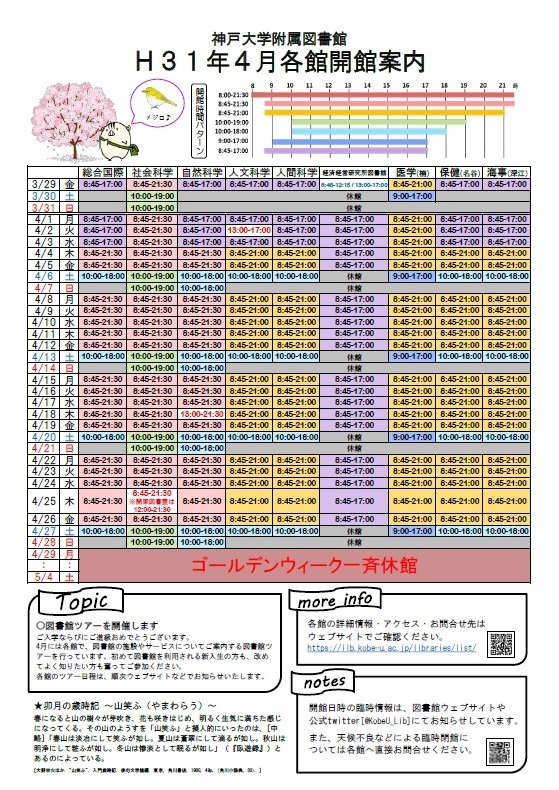 It shows opening hours/days of all Kobe University Libraries. PDF file can be downloaded from above image.